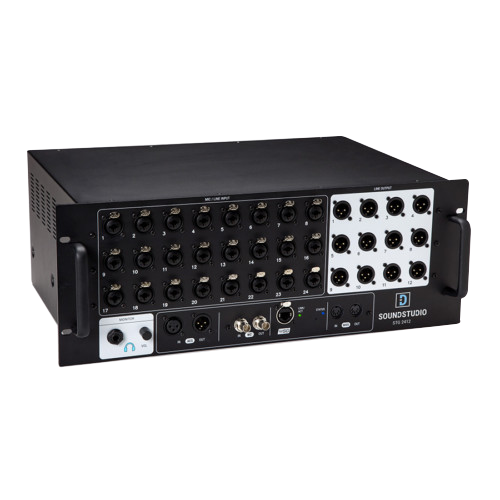 The STG-2412 stagebox features 24 mic/line inputs, 12 line outputs, 24 high-end mic preamps, and XLR mic plus TRS line ins. Now you can order our improved, balanced version of the same classic McOne passive! 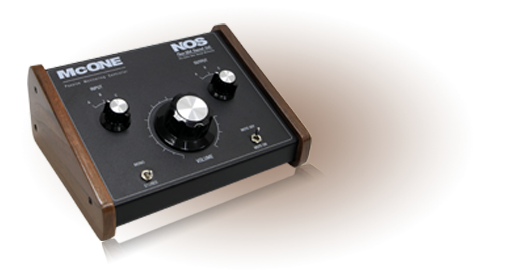 Utilizing high quality passive components, the New Old Sound McOne-B is an affordable monitoring solution that brings a vintage style elegance to your mixing desk, and all the modern detail you expect. There are other passive monitoring devices on the market, but McOne-B addresses the combination of balanced and unbalanced gear, as well as maintaining a steady left / right stereo balance no matter the location of the high quality ALPS pot. Its passive operation also means it adds zero noise of its own. McOne-B (the "B" means balanced) is our most solid design yet in a passive design, allowing both balanced and unbalanced intput devices to more easily exist side by side in one setup. DAW outputs, mixer feeds, CD players, iPods etc are cleanly routed in and out with the flick of a switch (choose between 3 inputs). You can then route any of those inputs to 3 balanced outputs for a multiple speaker setup without glitches and pops, for a clean and unhindered listening experience. When mixing it is very important to know how your stereo mix translates to mono, enabling you to check for phase issues etc. No problem with the McOne-B, simply choose between stereo and mono at the flip of a switch. Trying to talk in the control room or just needing a break is easy also, just select mute or dim (-20dB dim value) to eliminate or lower the volume signal sent to the three outputs. When it comes to your monitoring chain you need pure audio, simple function, and the right features. The McOne Active brings all of that plus a robust build, ergonomic design, and an old school vintage look for your desktop with its wooden side panels and cream finish. As modern as can be inside, uber-vibey on the outside. Hear your mix in full detail, feed your artist headphone system from three inputs, communicate with the high quality talkback microphone, switch between three stereo speaker sets, gain full control over your subwoofer, check your mixes in mono, crank the high powered studio headphone amp...and more. It's got all the ins and outs you need for tracking sessions and mixdown, and you'll hear every nuance of your music like reverb tails and subtle delay effects. 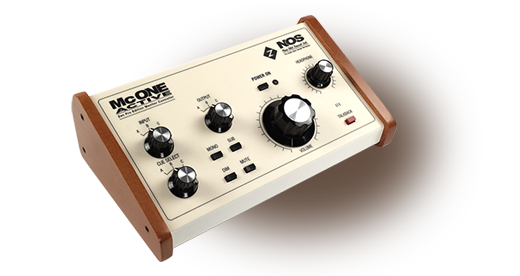 New Old Sound has been building the McOne passive model for quite some time, this active model brings more features and integration ease to any rig with its all analog, balanced design. Just plug it in and go, it accepts unbalanced sources as well. 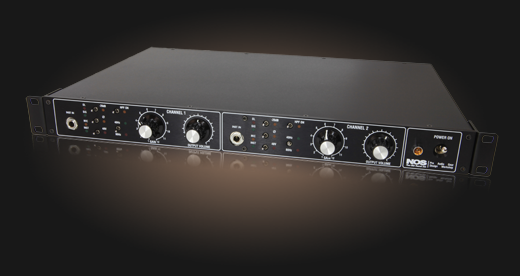 We'd like to present our Twin All FET discrete Class A Microphone Preamp and DI. Design based on cascode topology with home-brewed transformers on Input and Output. Preamp has two cascades of amplification, first one is the main gain stage and the second one is the output booster. The Gain of Preamp controlled by the 12-step rotary switch reaches up to +70dB. Output Volume control is located between the first amplification stage and output booster. 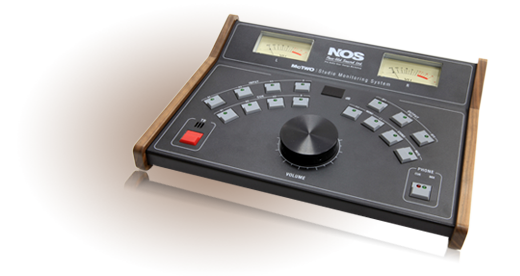 Our fully featured studio monitoring system contains a Control unit and Main 19'' rack mount unit. The Control Unit is an ergonomically designed desktop box with easy readable digital display, TALKBACK function and big analog VU meters. It sends commands to the Main Unit through a standard network RJ-45 cable with a length of up to 10 meters. Signal routing in the McTWO is achieved by using 25 sealed mechanical relays (instead of active IC's), maintaining a minimal signal path design wherein extraneous electronics are hard-wire bypassed. Copyright 2009 © New Old Sound Ltd.